Up to seven scholarships are available with a value of £3,000. Award amount: Reduction in tuition fees of £3,000. The scholarships are awarded on academic merit and not on the basis of financial need. To be eligible, you must: be applying for one of the above Masters degrees; commence the degree in October 2012 (awards cannot be deferred to subsequent years); and be classified as paying “overseas” (non-EU) tuition fees. Current Sussex undergraduate international students are eligible to apply. If you are awarded one of these scholarships you may not also hold a Chancellor’s International Scholarship. Awards will be made at the discretion of the Department. When completed, send your scholarship application form to the Informatics Programme Co-ordinator (contact details below). Please note that you should not apply for a scholarship until AFTER you have submitted a corresponding application for a place on one of the above Masters degrees. 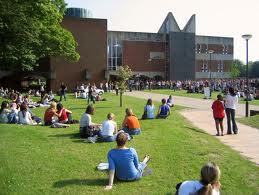 Demikianlah informasi mengenai Informatics Masters Scholarships, University of Sussex, UK semoga berguna bagi anda.